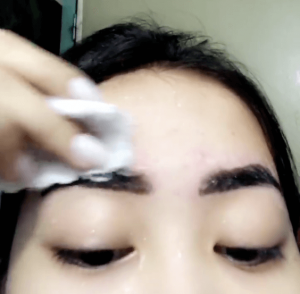 LOOK: This Filipina spent only Php 10 to fill in her eyebrows! OMG, we can’t believe she did this! We don’t recommend trying this at home, but this user was able to maximize Php 10 for made up eyebrows. Facebook user Kyle Ocampo was resourceful in filling in her eyebrows where she spent ONLY Php 10 (20 US cents). Ocampo was able to make this happen by using blackening shampoo. 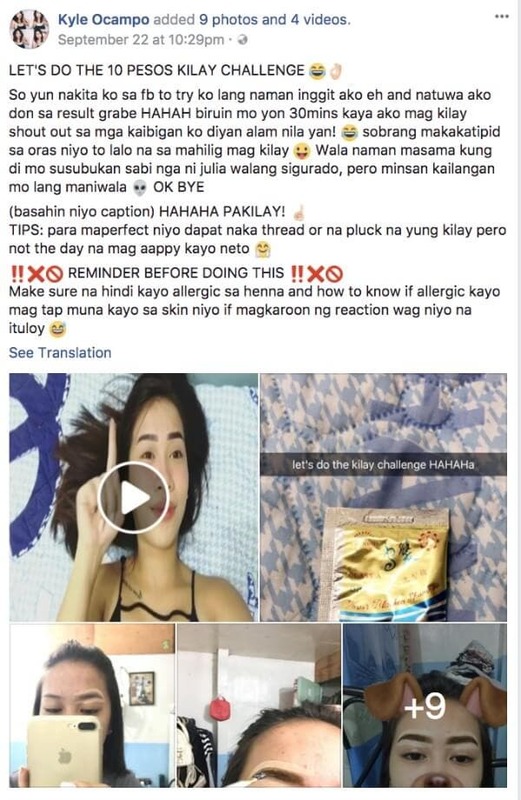 She uploaded the process and results on Facebook, much to the delight and amusement of not just makeup junkies but also social media users. LET’S DO THE 10 PESOS EYEBROWS CHALLENGE! TIPS: In order for you to perfect this, [your eyebrows] should be threaded or at least plucked. Make sure you’re not allergic to henna. You can find out if you’re allergic if you add some of the formula unto your skin. If your skin reacts. don’t push through with it! Through nine photos and four videos, she thoroughly explained the steps without costing a fortune – with just a meek budget of Php 10. WHEN IN MANILA has reached out to Ocampo for further details. Disclaimer: WheninManila.com does not own these photos. Credits go to Kyle Ocampo. You may view the original post here. The Rizal Memorial Sports Complex is Now a National Historical Landmark!